Do y’all know what was one of the top requests we got last year for help? The Fireplace. Rightfully so, as they usually serve as the focal point for a room. Traditional brick and white mantels are still classic and timeless, however if you want to make a statement, we have a few looks to get you lit… with excitement! Don’t be afraid to step out of the box from the typical slab surrounds and move to something more custom – tile. Patterns, as well as color, make a huge design statement with a tile surround. Herringbone and chevron add movement and a change in scale to balance out the firebox. Chevron too basic? Go bold and pattern it up! This look brings the drama front and center. Bring balance back into the space with white walls and minimal decor. We’re here to help tie it all together! An adjacent built-in bookshelf completes the look of a focal point wall. This is the best look for creating a cozy room with a fireplace. Especially if you love to display your objects. Finding the right balance of books, decor, and “white-space” is the key when styling. We love a good #shelfie – show us what you’ve done! Need help sourcing materials for you updated fireplace or living room in your home? 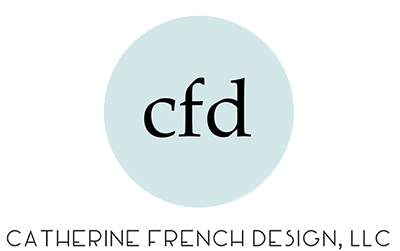 Shoot us an email at hello@catfrenchdesign.com and we will be happy to help.